Those looking to improve or to sample different sorts of terrain will often look further afield. This is a guide to some of the best areas within a reasonable travel distance of our county. Most of these areas are used for a range of events, from low key local league events to National tournaments. The following is not intended to be an exhaustive list, just a representation of the better areas near to Somerset. Travel distances are approximate journey times in hours from the midpoint of Somerset, with + and - indicating slightly more or less than the time specified. Along with QO's own beloved Quantock Forest North, several other areas near us are highly runnable. With wide spacing between the mature trees, it is possible to glide along and the ancient earth features and small clearings add to the navigation aspect. Runnable forest with an above average navigational aspect. Though the runnability is sometimes compromised by brashings and the churned mud left behind by the native wild hogs. There are several areas and usually several events per season hosted by the Bristol and North Gloucester clubs. The land forms left by small scale mining add to the navigational challenge. Re-entrants, ditches, quarries, platforms, pits and depressions are in abundance. The scattered slag heaps reclaimed by nature have many of these things, all within a very small area. The cleared and semi-open areas further add to the challenge. Travel time from Somerset is an hour and a quarter upwards. There are excellent examples of open moors in Dartmoor, Exmoor, Bodmin Moor and the Brecon Beacons area. The difficulty can be significantly affected by the weather and by the presence of old mine workings such as those seen at Holne Moor on Dartmoor. There are a whole new series of black map symbols to interpret on some of these moors, including boulder, rock and quarries. Even for juniors, it's quite different to a forest- Devon OC have produced a pictorial guide to illustrate this. The sink holes at the adjacent areas of Merthyr Common and Mynydd Llangynidr are enormous and large pits and depressions numerous. The shallow gradients and repetitive landscapes of these areas mean keeping good map contact or determining a good catching feature in advance is very wise. High technical difficulty for those looking for a real challenge! Navigation is largely by interpreting contours. Watch out for weekend double-headers, which can make it worth the distance travelled. Because they are also popular with the general public or visitors, some of these areas also have good path networks, making them suitable for junior courses. Braunton Burrows has rarely been used and Kenfig Burrows was a newly mapped area for the 2016 Croeso. This is mainly due to the difficulty in obtaining permissions, often reflecting the care and management that dunes systems require. Besides those listed below, there are other dune areas in Cornwall, though smaller and slightly further afield, like Polly Joke. A patchwork quilt of a forest between Ringwood and Southampton. With its mixture of runnable woodland, semi-cleared and cleared areas, it's a challenge, even with a reasonable large path network. As used by the clubs of Dorset (Wimborne and Wessex), south Wiltshire (Sarum) and the Southampton area. There are usually a few events here every season, including the November Classic and a Galoppen. Particularly popular with those on the south and east side of the county, from which the forest is just over an hour's travel time. Stockhill near Wells is the largest woodland on the Mendip plateau and has scores of point features within its often runnable blocks of forest. Grab the opportunity to run at Yoxter Ranges. Used only infrequently, it is a largely open army training area with similar topography to nearby Stock Hill, with loads of depressions and contour features. 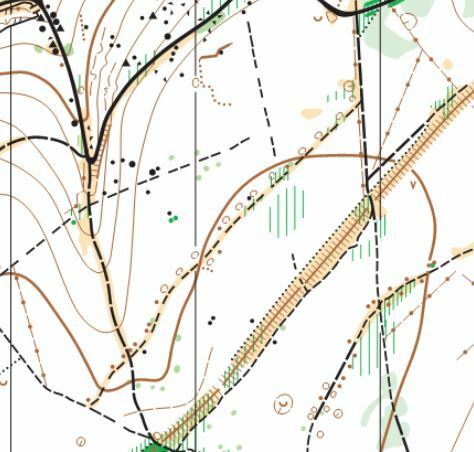 Other parts of the Mendips have areas of limestone, another great ingredient for technical orienteering but not nearly as much as the dramatic limestone areas in the north of England. These tend to be towards the south east part of the region and contain much of the challenge of open moor. On Purbeck is Agglestone Heath and nearby to that is Bovington Ranges, an army training area. Nearer to home, Devon has Bicton and Woodbury Commons.